Management of a cloud infrastructure becomes a tiresome challenge for in-house IT staff when massive IaaS and PaaS deployments take place on the cloud. Using programming to manage the interconnectivity and communication between workloads on public cloud and private cloud infrastructure is known as Cloud Orchestration. 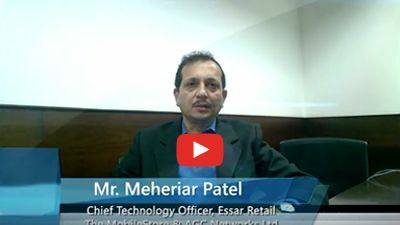 Cloud Orchestration solutions are designed to create a cohesive workflow of automated tasks and achieve goals with strict supervision and policy enforcement; this serves as a catalyst in propelling your infrastructure into the next level of readiness for advancing digitisation of the business world. Cloud orchestration is a single centralised approach integrated to handle all the data, software, assets and networks, thus aiding in automating complex business problems such as costing processes or policy enforcement, reducing the need for human monitoring and supervision. This results in lowering the costs as well as the chance for errors. eNlight 360? orchestration software offers services with robust features like automatic vertical scaling for resource provisioning on demand, as well the conventional horizontal scaling based on software-defined load balancing. Let us look at these features and some additional ones in detail to get the complete idea of how eNlight 360? Cloud Orchestration can help your organisations in optimising multiple workflows, reducing friction among various teams and in general enhance your business performance. Vertical scaling is a patented (US 9176788) (UK GB2493812) unique feature of eNlight Cloud orchestration software. eNlight 360? can scales virtual machine resources automatically when needed. The resources of a virtual machine are scaled between the minimum and maximum resources assigned to it in proportion to load over it. An incredibly intelligent algorithm monitors resources and scales them on demand accordingly, thus cutting down expenses but still providing a consistent performance to users. Horizontal Scaling is a conventional method of scaling resources based on load balancing. Additionally, eNlight 360° also provides software-defined load balancing horizontal scaling, which helps virtual machines in automatic scaling out or scaling in depending on workloads. Complete control over defining the Access Control for Permitting or Denying operation per Group or User. Easily define Workflow for escalating Permissions to Group Admins or System Admins. Also, you can define VM ownership to Groups and Users as per their grade. Quota management helps in limiting resources based on defined policies. Quotas are used for setting up operational limits for preventing system capacities from being exhausted without notification. Quotas can be enforced on the user level. The system can generate policy non-conformance reports to show user or department, capacity usage, and overutilization. Quota can be allocated per user or group for Compute, Storage, and Network independently. With multi-hypervisor support, you can manage, all of your resources and all different hypervisors from a single screen/dashboard. eNlight 360 supports Citrix XenServer, Microsoft Hyper-V, VMware ESXi, Ubuntu KVM. Multi-Tenancy refers to the architecture in which a single instance of software runs on a server and serves multiple tenants. Tenants are groups comprised of users that share universal access with specified privileges to the software instance. eNlight 360? supports multi-tenancy which is beneficial for all type of organisations or enterprises. With permission and role-based management, you can restrict access to authorised users thus allowing employees restricted access to information necessary for them to effectively carry out their job duties. Get resource utilisation statistics in terms of monetary expenses. This allows users to keep track of their return on investments (ROI). Generate invoices, bill, and charge resources on the department level as well as user level. Each action in the system is treated as a Job, and each such job can be scheduled to be executed in the future. This feature enables the user to schedule a job or a batch of jobs to perform some coordinated task. Ever thought of automating your tasks while you are asleep in your bed all night. Schedule any executable task in your cloud to automate the process. Moreover, scheduling is not just limited to automating singular tasks, but you can automate complete job sequences that affect every other task. 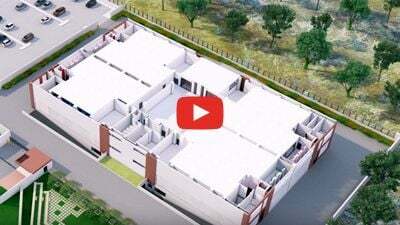 eNlight 360° is one of a kind cloud orchestration platforms with unique patented features to helps businesses maximise the potential of their cloud operations, with management features and granular control to aid administrators in handling cloud effectively and enable fast provisioning of resources for project requirements. 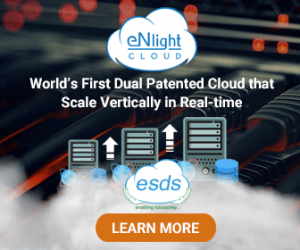 Corporate features and benefits of vertical scaling with eNlight cloud!